Corian’s Solid Surface with Resilience Technology, pictured in ‘Cool Grey,’ offers superior scratch resistance and quick stain removal. 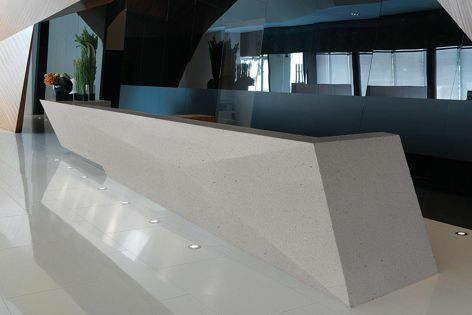 Setting a high standard of performance in solid surfaces, Corian’s Resilience Technology offers superior damage forgiveness, easier and quicker stain removal and a reduced need for maintenance. The Solid Surface with Resilience Technology range combines durability and style and is available in four new colours: ‘Summit White,’ ‘Stratus,’ ‘Keystone’ and ‘Cool Grey.’ Resilience Technology enables a superior scratch- and stain-resistant surface, ensuring benchtops retain their look for years.